Click the check boxes and move the vertices of the triangle to explore. What do you observe? 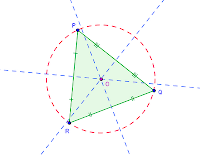 In any triangle, a circle called circumcircle maybe drawn that passes through its vertices. The center of the circumcircle is called the circumcenter. 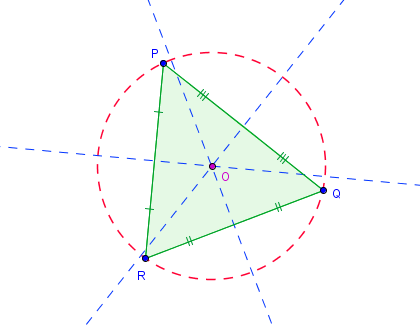 The perpendicular bisector of the three sides of any triangle passes through its circumcenter. a few United States perceive all from the powerful medium you gift powerful steps when this web log and then rather inspire contribution from alternative ones when this material at constant time as our personal minor is just about discovering a good deal. expertise the staying place of the twelve months. A document that allows the transfer of a claim, be it an interest, right or title that the maker of the document may have in a property. QuitClaim Deed The person granting the transfer may not have the absolute claim to the title. I will read more about it. I want to know the solution for this task. Okay?